Today we are Scrapping the Little Things over at the My Creative Time blog. 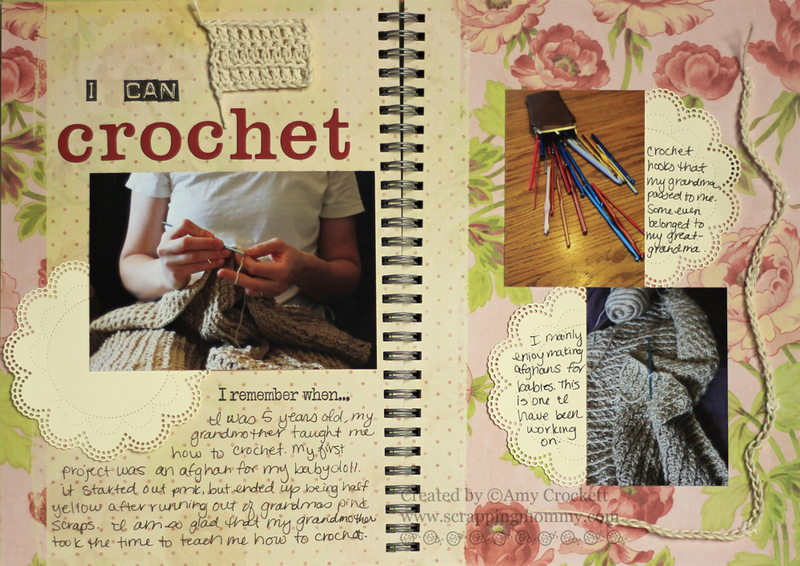 Today I have a SMASH book page to share with you about one of my favorite hobbies......other than paper crafting of course!! Now if you remember, the SMASH album that I have started is one about me because I rarely, if ever scrapbook about myself. I wanted something that my kids could have and pass on about my life. 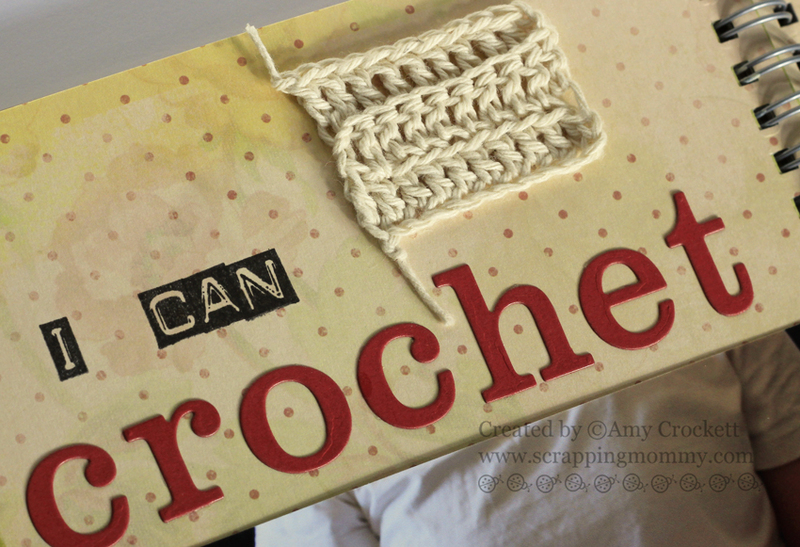 I learned how to crochet from my grandmother and I hope to be able to pass it on to my own kiddos Next to the title, which is created with the Label Font and Lowercase Fun Dies, I added a bit of crocheted Solid Natural bakers twine from The Twinery. 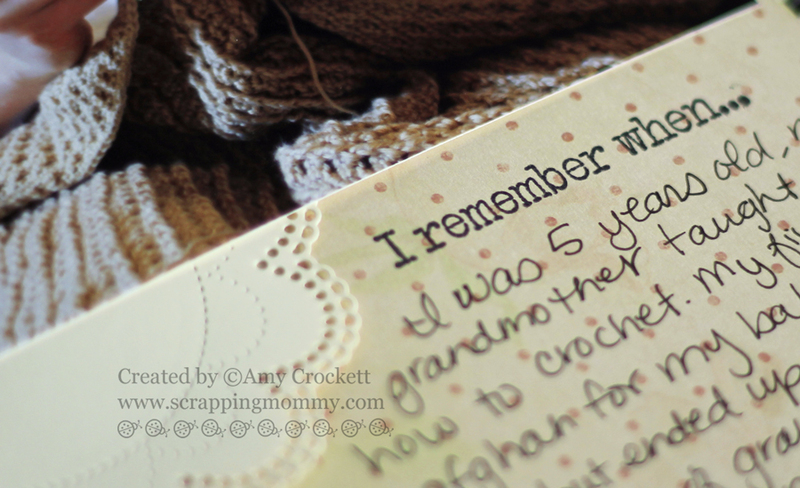 I hope that you are inspired to pull out a scrapbook page or SMASH album and start documenting things about yourself. 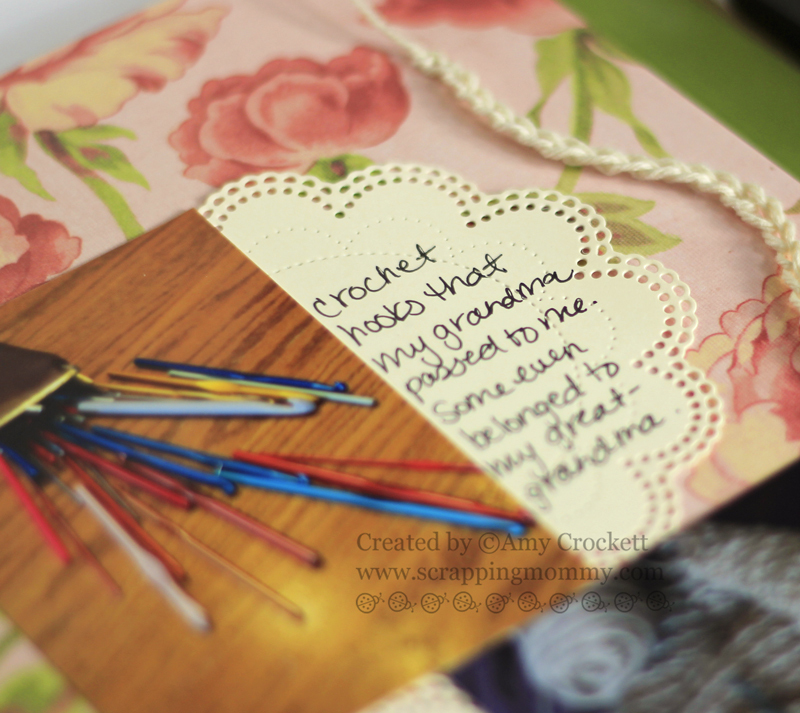 Hop on over to the My Creative Time blog to check out what the other designers have been Scrappin' about!! Oh my what an awesome LO. You outdid yourself here. What a great thing to do to pass on to your children it is important to do this and will definitely be a cherished & prized possession. I loved each and every little thing that you did and used to create your pages you truly did a magnificent job!! Fab LO. The one thing that I don't do is crochet. Great idea to capture a memory...love it! Great idea Amy, I agree with Viv. I recently purchased a project life kit and thought I would continue scrapbooking my daughters school years as well as other things. I don't have one about me and I think it's a great idea. Crochet is my second love, my mom taught me when I was just a kid as well. So thank you Amy and thank you Viv.